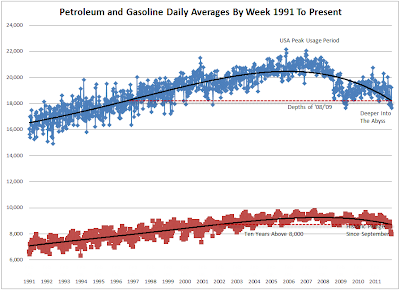 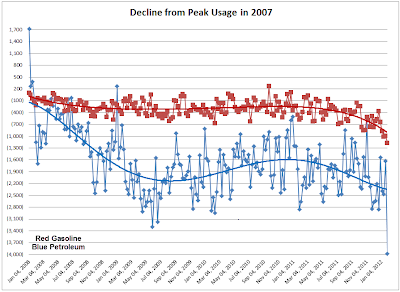 Note that on a best curve fit, petroleum usage is back to 1997 level and gasoline usage is back to 2001 level. 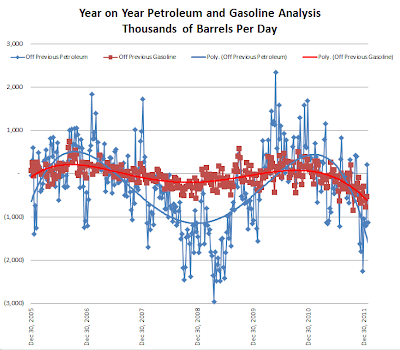 Moreover, as Wallace points out, two out of the last three weeks gasoline usage has dropped below 8,000,000 barrels per day. Note the trough of the recent recession, the rebound, and now a sudden plunge in gasoline and petroleum usage once again. 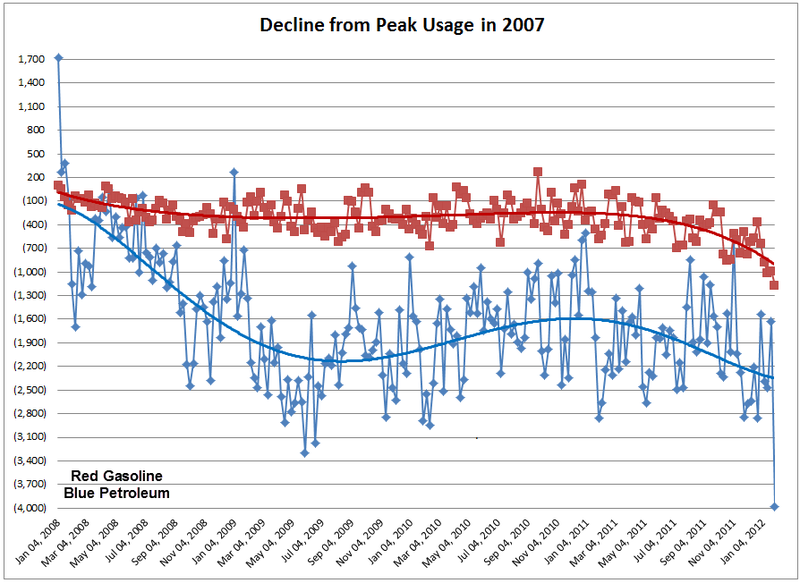 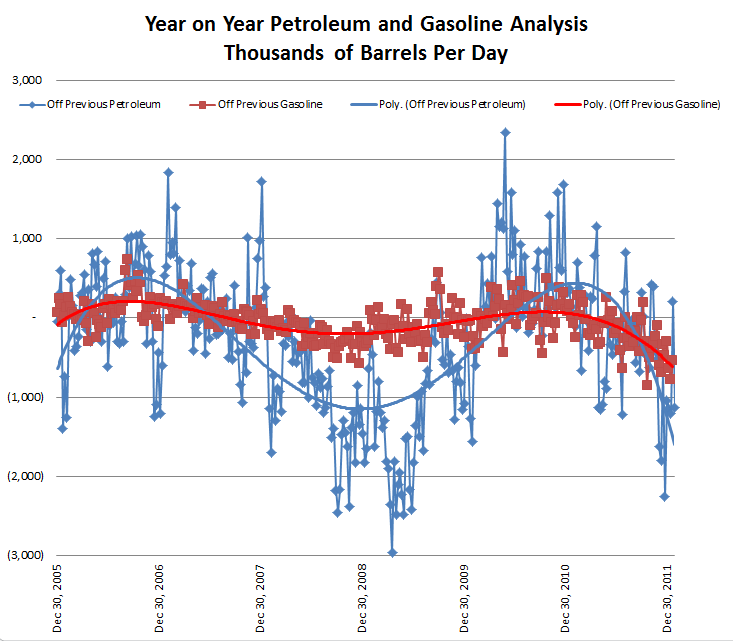 A mild winter can explain part of the drop in petroleum usage (heating oil), but it does not explain the declines in gasoline usage or the overall trends.